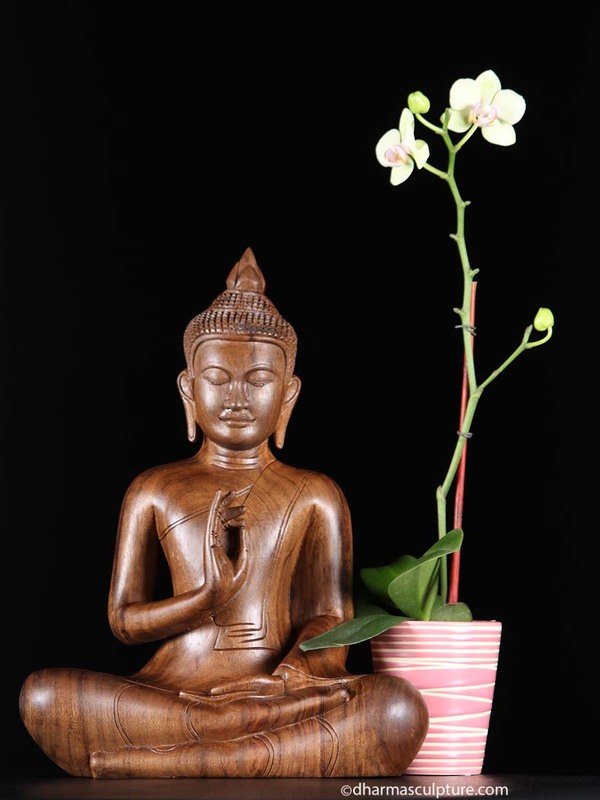 This beautiful rose with saffron tones Cambodian Buddha statue was recently carved from an antique piece of wood. Lord Buddha has a wonderful serene expression and a faint smile. He is depicted in the bhumisparsha mudra also known as the earth touching gesture. The ushnisha, protuberance above his head also referred to as a topknot, symbolizes His wisdom and openness as an enlightened being. He has elongated earlobes, a vestige of his life as a prince, when he wore extravagant jewelry. 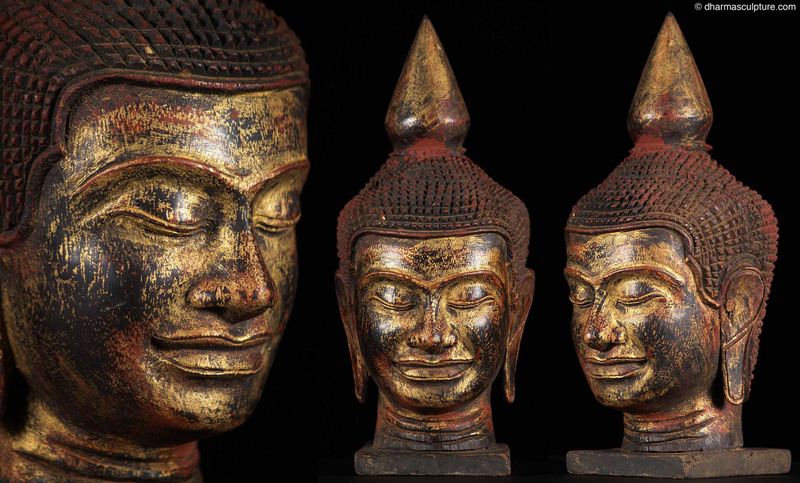 This beautiful wood sculpture is a one of a kind statue, hand carved by the very talented artists of Cambodia! 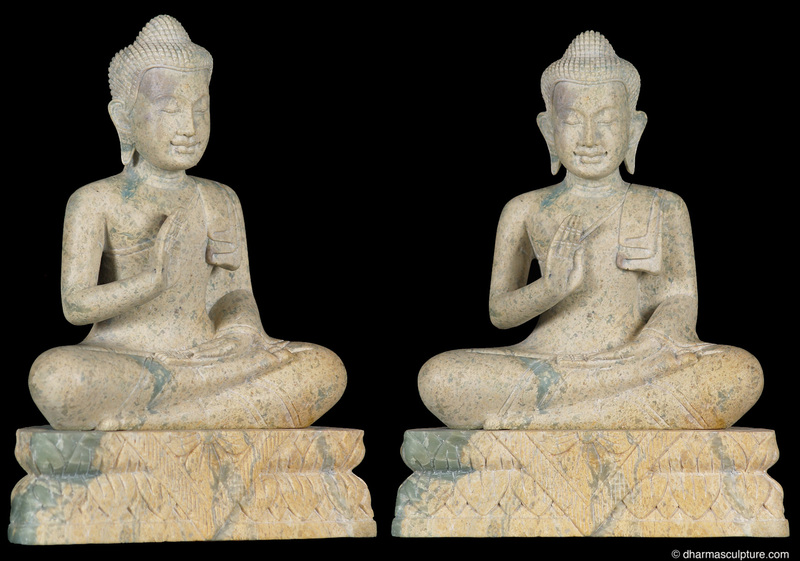 Newly added colorful and vibrant hand carved and hand painted Cambodian Buddhas! These beautiful wood Buddha statues are seated in dhyana asana, the meditative pose also called padmasana. Their hands are in dhyana mudra which is the mudra of meditation. It is also called samadhi or yoga mudra. 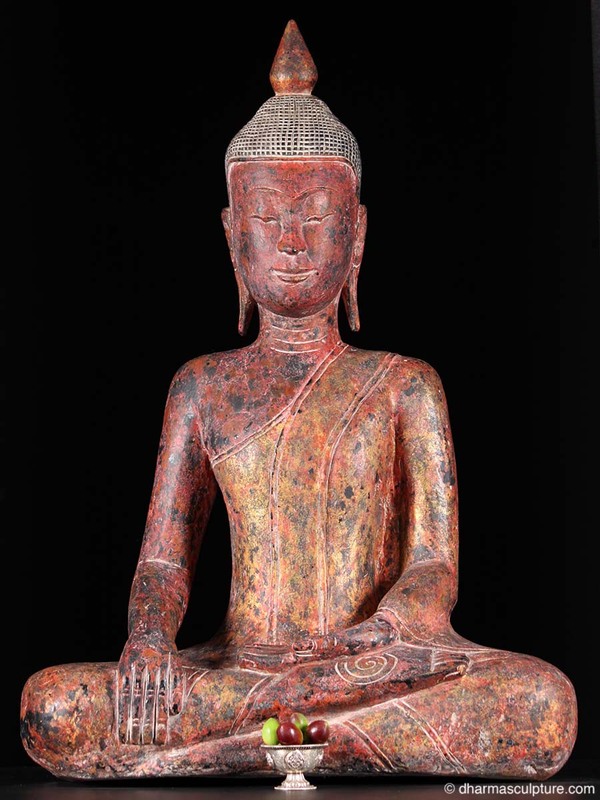 This hand carved soapstone Buddha has a distinct Cambodian style. Lord Buddha is in the abhaya mudra also known as the protection gesture and is seated on a double lotus throne. He is depicted with heavy eyelids that evoke a mood of introspection and detachment, enhanced by the hint of a smile on the full lips. The distended earlobes, a legacy of Prince Siddhartha’s discarding his heavy gold jewelry further indicates the Buddha’s enlightened status. A simple yet elegant carving. 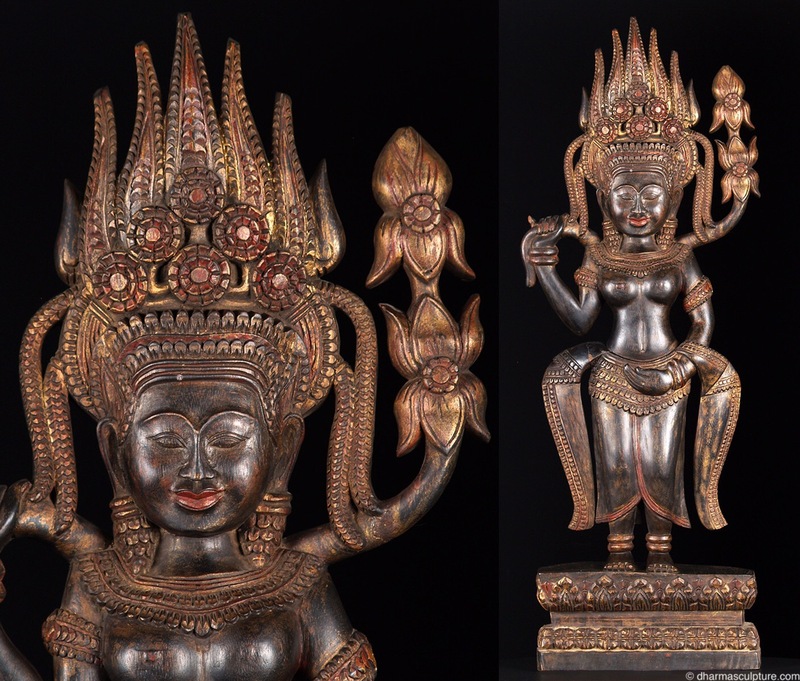 There are two parts to this piece (which are attached), the Buddha and its double row lotus base. It is unpolished and thus has a matte finish. Lord Buddha is depicted with heavy eyelids that evoke a mood of introspection and detachment, enhanced by the hint of a smile on His full lips. The distended earlobes, a legacy of Prince Siddhartha’s discarding of his heavy gold jewelry, further indicates the Buddha’s enlightened status.